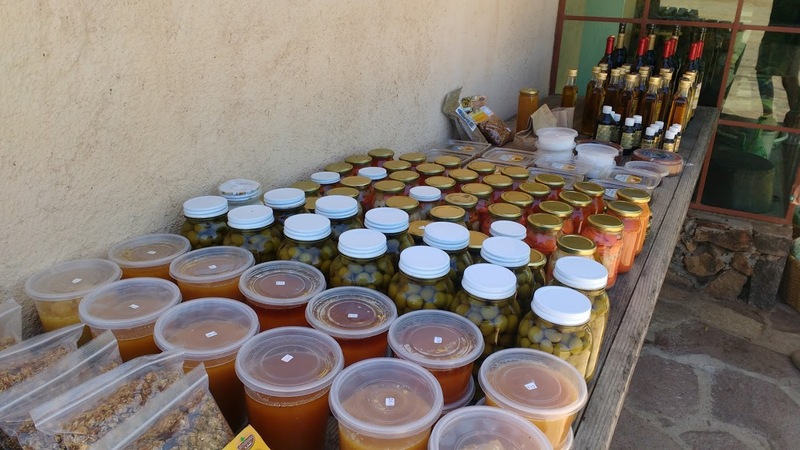 At Mogor-Badan in the Valle de Guadalupe, a small farmer’s market is available on Wednesdays and Saturdays from 11a – 1p. We arrived at 12:15 Saturday and were a bit late for the best goodies. 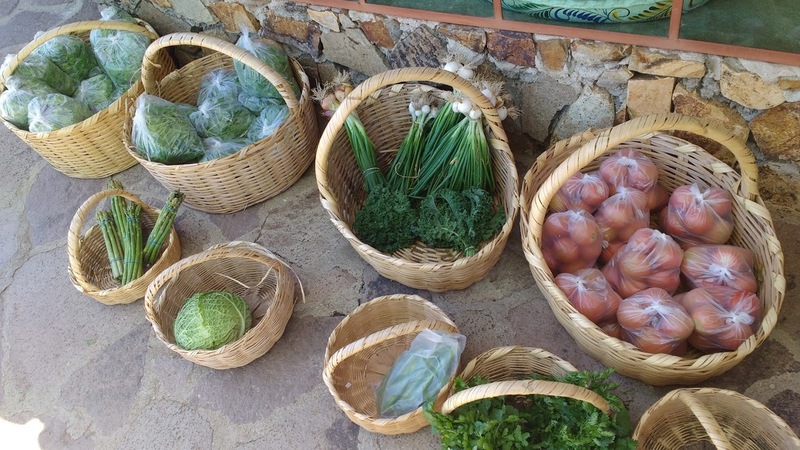 But, there were still plenty of fresh veggies from the organic garden, cheese, marmalades, vanilla, olive oil, olives and eggs. Can’t believe my camera forgot to catch the goose eggs! Samples of the marmalades and cheese were available for tasting. If you are heading to wine tastings, it never hurts to bring along some bread and cheese to non-restaurant wineries to share with your hosts or fellow guests. 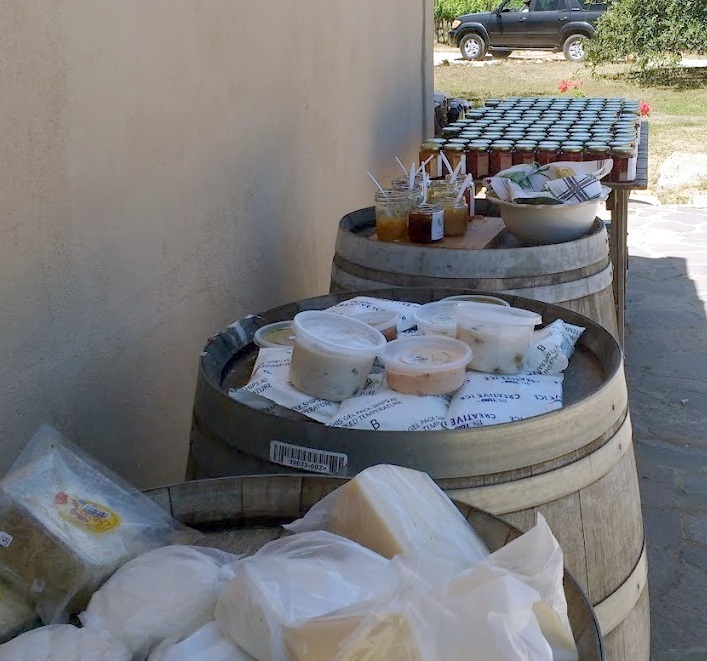 Of course, ask first when you arrive at the winery, to get approval on your BYO food. Generally you will gain quick friends with this gesture. 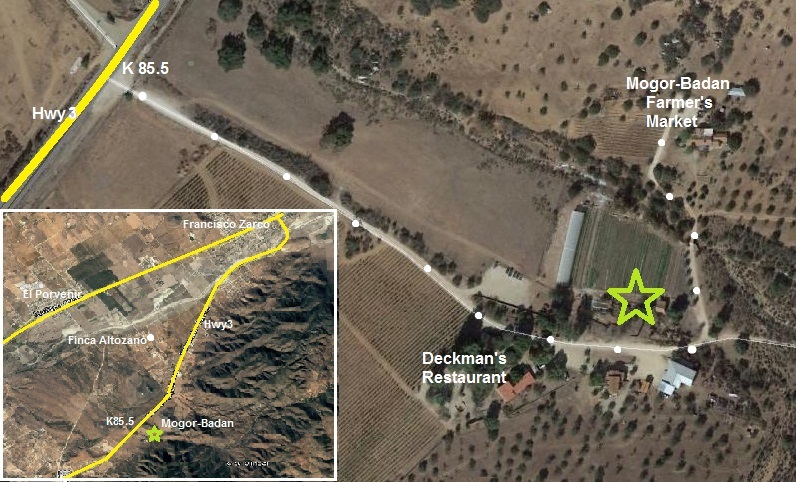 At Mogor-Badan on a Saturday, you could hit the triple play of the market, a wine tasting and lunch at the excellent Deckman’s Restaurant(opens at 1pm). 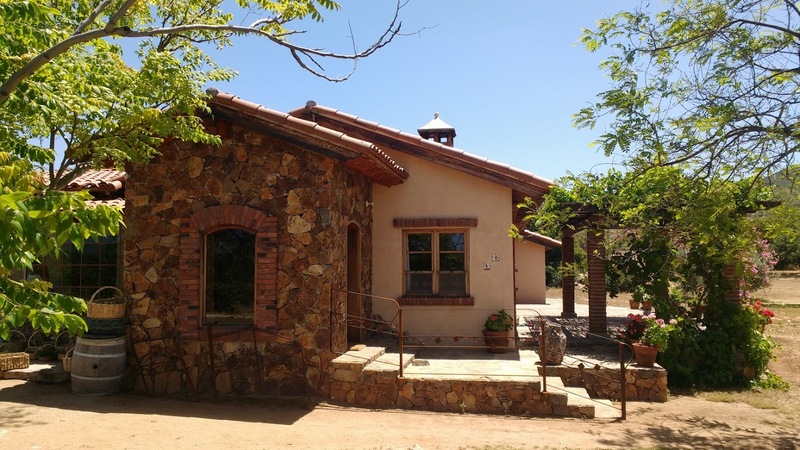 This entry was written by bajadock, posted on May 16, 2017 at 08:00, filed under Ensenada, Food & Beverage and tagged deckman's restaurant, mogor badan farmer's market. Bookmark the permalink. Follow any comments here with the RSS feed for this post. Post a comment or leave a trackback: Trackback URL.